Semmelweis University’s students and staff are entitled to discounts at the following institutions by showing their student card or their Semmelweis staff pass. The list is continuously updated. Modernity inserted into classicism and colourful cultural life: this is Aranytíz Community Centre. Programmes for old and young – sometimes separately, sometimes together. Besides the recurring events theatre performances, pop- and classical music concerts, exhibitions, dance, fine arts and traditional Hungarian folk art are also available among the programmes. 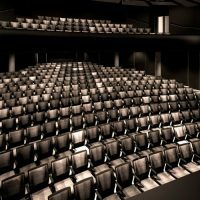 Discounts are available for certain performances previously appointed by the theatre. By showing the student card or the Semmelweis staff pass at the ticket office in the community centre (1051 Budapest, Arany János utca 10.) upon buying the tickets. 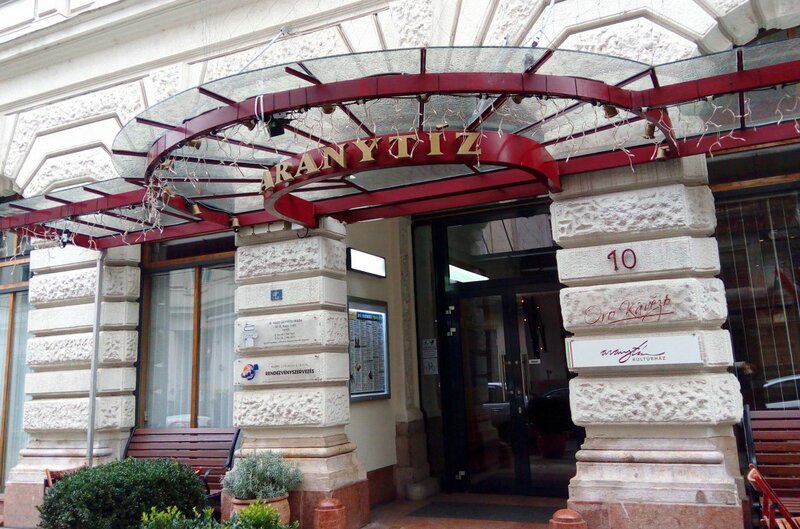 Under the management of György Lőrinczy the Operetta Theatre is a truly popular musical theatre running Hungarian operettas, contemporary Hungarian musicals and literary/historical youth shows. 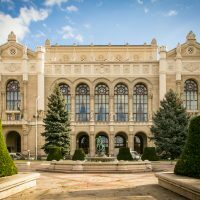 With around 500 shows and nearly 400,000 visitors a year it is Hungary’s most visited theatre. 5 shows on workdays are available to the University’s students with a discount of 10-50% (2nd category tickets). Discounted tickets for the musical Rebecca may be purchased only for shows on workdays and Sunday evenings. this could be a musical or operetta starting at 5 pm or 3 pm on weekdays not listed in the Exclusive Students Programme. Budapest Dance Theatre was founded by Béla Földi, in 1991 and has been one of the most influential contemporary dance companies in Hungary. Since 2016 it has become one of the leading Hungarian companies with an average of 50 performances a year addressing children, teenagers and adults alike. The company performs at the National Dance Theatre in Budapest and other prominent theatres in Hungary (Palace of Arts, Teatre of Pécs), as well as the most important dance festivals. Sine December 2011 it has its own performing space in Budapest at the DEPO Dance Studio, and takes part in educational activities as well. Discounted tickets may be purchased at the DEPO Dance Studio (Budapest 1097 Koppány u. 15.) by showing the Semmelweis pass or student card. 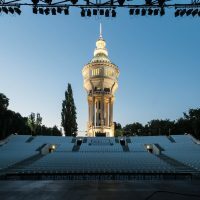 Budapest Summer Festival is orgnised in two of the oldest open air theatres of Hungary every year: at the Margaret Island Open-Air Stage, which was opened in 1938 and at the Városmajor Open-Air Stage, open since 1952. The festival offers over a hundred performances in June, July and August and is the longest and greatest cultural festival in Hungary. Discounted tickets may be purchased at the Open-Air Ticket Office (1052 Budapest, Bárczy István utca 1.) by showing the Semmelweis pass/student card upon purchase. Opening hours: Monday 12 p.m. – 6 p. m. , Tuesday-Friday 10 a. m. – 6 p.m.
Örkény Theatre 1075 Budapest, Madách Imre tér 6. Under the management of Pál Mácsai, Örkény István Theatre opened on 21st September 2004 with an independent company as the successor of Madách Chamber Theatre. 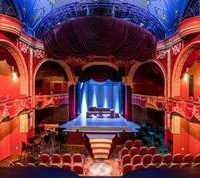 Leaving its tabloid theatre past behind, it has grown into one of the most versatile and colourful art and theatre centres in Hungary. By showing the student card or the Semmelweis staff pass at the ticket office in the theatre (1075 Budapest, Madách Imre tér 6.) upon buying the tickets. Trafó House of Contemporary Arts is a unique venue in Hungary and is an organic part of the international scene of contemporary arts showcasing various genres in a unique and authentic way; theatre, dance new circus, music and visual arts. 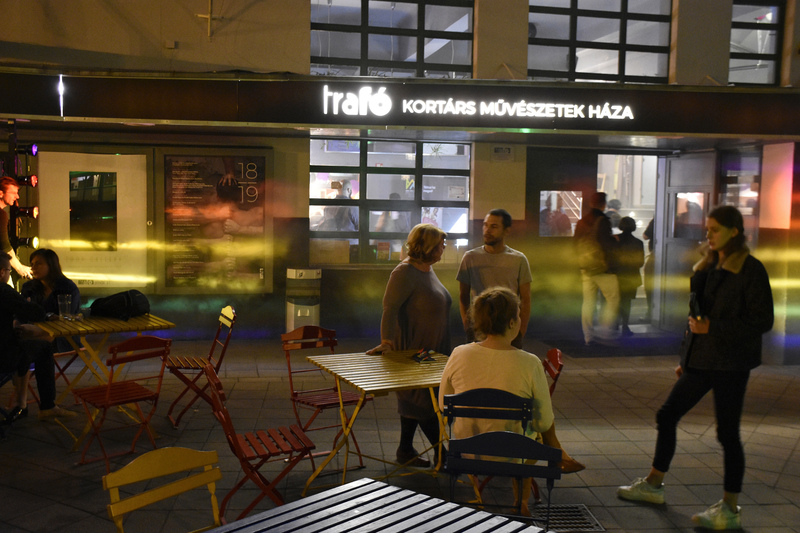 Trafó’s professional programme of events are in line with a unified approach, yet it is diverse, experimental and audience-friendly at the same time. It is inspired by new approaches and cultural heritage as well and gives opportunities for Hungarian and international artists to perform their art. Address: 1032 Bp., Bécsi út 154. 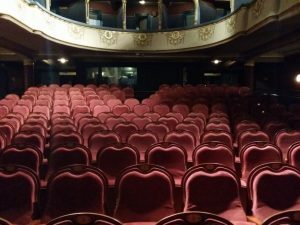 The Comedy Theatre has moved to a new venue in Óbuda, EuroCenter on the 1st floor. The theatre runs new shows every month and has a great variety of family- and children’s programmes. Semmelweis University’s students and staff are entitled to 20% discount of the tickets of the Theatre. Tickets may be purchased at the directorate of the Comedy Theatre and discounts may be validated by showing the student’s card or Semmelweis staff pass upon purchase. 2 discounted tickets may be pruchased with the use of one student’s card/Semmelweis staff pass. Concerto Budapest is one of the most prominent Hungarian orchestras with a long history and young musicians. Their programmes represent a progressive and colourful repertoire including popular masterpieces and the latest contemporary compositions of the 21st century. They regularly host world famous performers, such as Gidon Kremer, Jevgenyij Koroljov, Boris Berezovsky, Isabelle Faust or Sir James Galway. The orchestra, conducted by András Keller, is a renowned participant of the international classical music scene. 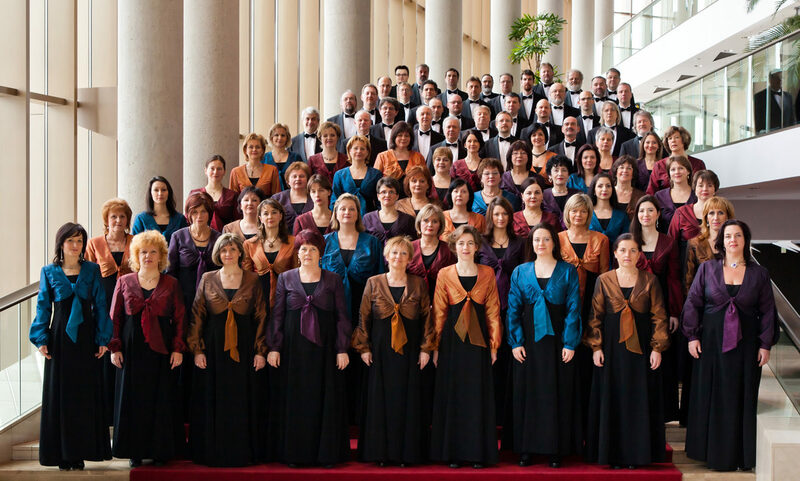 Discounted tickets can be purchased at the orchestra’s ticket office in Páva street (1094 Budapest, Páva u. 10-12.) by showing the Semmelweis student card or staff pass. Up to 6 discounted tickets may be purchased with the use of one card. Gyula Marton is a concert organiser, art manager and has been working in the field of art since 1980. Since 2000 he has been the managing director of Generáció Koncert Média. Semmelweis University’s students and staff are entitled to 7-10% discount off of tickets providing entrance to programmes organised by Generáció Koncert Média. Zoltán Mága’s genuine crossover style, created with the fusion of classical, folk and pop music is widely known and appreciated all over the world. 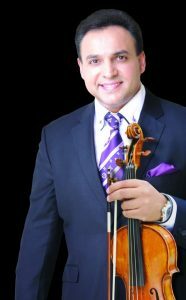 His repertoire includes folk and classical pieces, jazz and pop music. His virtuoso performances are characterised by overwhelming power, a deep desire to give, and the hope that music and the love it bears can make the world a better place. His charity concerts make a lot of people start giving for good causes. Zoltán Mága’s aim is to reach millions of people with his concerts and to make every generation experience the universal language of music. Discounted tickets may be purchased at the partner ticket office (Budapesti Újévi Koncertiroda, 1054 Budapest, Szemere utca 10.) at a prearranged time by showing the Semmelweis student card or pass. 40 discounted tickets may be purchased with 1 Semmelweis student card/pass. The history of the Hungarian National Philharmonic Orchestra started in 1923 with the foundation of the “Hungarian Capital’s Orchestra”. In 1952 the orchestra’s conductor became János Ferencsik, Hungary’s leading conductor of the post-world war era. From 1987 to 1997 the orchestra was lead by the Japanese conductor, Kobayashi Ken-Ichiro, which was followed by a new era in the history of the orchestra under the leadership of Zoltán Kocsis, general music director. 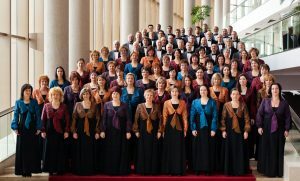 For nearly two decades the orchestra went over a complete revival and has become an all-round provider of classical music: apart from the true classics, rarely played but important pieces are included in its programme, strives to make contemporary Hungarian music more widely known, offers chamber concerts and events for children. Since the death of Zoltán Kocsis in March 2017 the general director of the orchestra has been the internationally acknowledged conductor, Zsolt Hamar. 30% off of concert tickets for students and staff alike. Tickets may be purchased at the ticket office by showing the Semmelweis pass or the student card, or online at nfz.jegy.hu or jegy.hu by using the voucher. One identification document/voucher can be used to buy unlimited number of discounted tickets. Budapest History Museum is one of the most prominent museums of Budapest as it exhibits a collection of historical and archeological documents and relics of the capital city from the Ancient times to the 21st century. 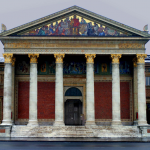 Its primary aim is the research of its collections’ material and spiritual heritage, their scientific reinterpretation and exhibition to the public. It is a versatile scientific workshop open to contemporary trends, which displays the relics of the past and present in a highly professional but comprehensible manner. The museum’s central unit is the Castle Museum at 2 Szent György tér which displays the ruins of the Medieval castle and has an exhibition on the city’s history. 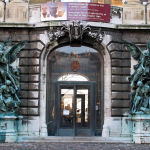 Permanent exhibitions of the Castle Museum: Ancient peoples, antique cultures; Gothic sculptures from the royal palace of Buda; Tapestry with the Hungarian-Angevin coat-of-arms; The medieval royal palace of the Buda Castle; 1000 years of Budapest. Other institutions in the capital belonging to the BTM are the Aquincum Museum (ancient Roman remains and exhibition), the Kiscelli Museum (about the 18th-20th century Budapest) and the Budapest Gallery (contemporary art gallery). In case of temporary exhibitions, Semmelweis University students and staff are entitled to discounted tickets where the discount is deducted from the normal price of the ticket instead of the raised price. Family tickets: two children between 6 and 18 visiting with a family member are granted free access. In this case, discount cannot be given to an extra person, except if he/she is a staff member of Semmelweis University. By showing the student card or the Semmelweis staff pass at the ticket office upon buying the tickets. One staff member/student may purchase up to 2 tickets including one for a person not related to Semmelweis University. The discount cannot be combined with other discounts. The Chocolate Museum in Árpádföld (16th disctrict) offers a delightful journey in the land of flavours and further programmes (Praline tour, Royal tour, Deli’Do Extra programme). The museum showcases hundred-year-old chocolate making tools, unique products of former great chocolate factories and their wrappings, and visitors get an opportunity to make their own chocolate. They could also sip hot chocolate while watching a film in our cinema and listen to a live presentation. Finally, the Museum’s shop offers a huge variety of the best chocolates. Individual and group visits need to be booked in advanced! Discounted tickets may be purchased at the ticket office at the museum by showing the Semmelweis student card or pass. 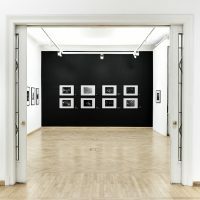 Kunsthalle, which is considered the flagship of contemporary art in Hungary, has been open uninterruptedly since the end of the 19th century and is committed to exhibiting the current Hungarian and international trends in art. One of its main missions is the promotion of Hungarian fine arts abroad by initiating exhibitions abroad and issuing publications. The cultural centre located at Heroes’ Square in Budapest is open to all varieties of visual arts without restrictions on age and ideology. One staff member/student may purchase up to 2 tickets at a time. The discount cannot be combined with other discounts. By showing the student card or the Semmelweis staff pass at the ticket office upon buying the tickets. Ludwig Museum – Museum of Contemporary Art was the first museum to exclusively collect contemporary art in Hungary. The first pieces of its large international and Hungarian fine art collection were donated by Peter and Irene Ludwig in 1989. The museum was extended to the Museum of Contemporary Art in 2005 and moved to the Palace of Arts (Müpa), where one permanent and several temporary exhibitions, unique publications and varied programmes of art pedagogy and related arts can be visited. Students and staff off Semmelweis University are eligible for 25% discount from tickets to the permanent and temporary exhibitions in the academic year 2018/2019. Discounted tickets may be purchased at the museum by showing the Semmelweis student card or pass upon purchase. Mai Manó House is an atelier home to photography exhibitions, which was built at the end of the 19th century by Manó Mai (1855-1917), photographer of the imperial and royal courts. The 8-story, neo-renaissance building is one of the main hubs of Hungarian photography and is home to group and individual exhibitions introducing contemporary, historical, Hungarian and international trends. A bookshop, a library and events make Mai Manó House a perfect space for those interested in photography. Discounts are valid for exhibitions and certain events at Mai Manó House. Tickets for students and staff are available with 10% discount. Pál Molnár-C. (1894-1981), painter, lived and worked in the villa that is now the oldest private museum under family management. 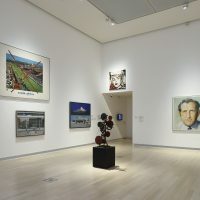 Apart from the collection made up of his versatile work, personal belongings and family collections are also exhibited. A cross-section of the rich collection is highlighted by the temporary exhibitions which change according to different themes. Goldberger Textile Collection 1036 Budapest, Lajos utca 136-138. 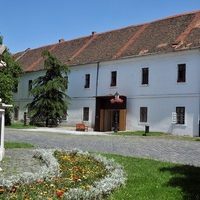 Óbuda Museum is a place where tradition and modernity live side by side, where local culture is passed on with state-of-the-art exhibits and technologies. The museum offers meeting points for several generations in time and space, it is a place for experience based and informal learning, and it maintains an active relation with its visitors. As part of the Óbuda Museum, the Goldberger Textile Collection was opened on 1st January 2012. Discounted tickets may be purchased at the Óbuda Museum (1033 Budapest, Fő tér 1.) after prior booking by showing the Semmelweis student card or pass. The impressive building of Pesti Vigadó, located in the heart of the capital city of Hungary is a prominent venue of the colourful events in Budapest. Pesti Vigadó was built in 1865 based on the plans of Frigyes Feszl and it hosted the most important cultural and social events at the time. After renovation and extension, Vigadó was opened on 14th March 2014 by the Hungarian Academy of Arts. The new Pesti Vigadó offers continuously changing temporary exhibitions, guided tours in 8 languages, concerts and theatre performances, as well as Timeline, a permanent exhibition on the history of Pesti Vigadó and its predecessor, Redoute. The permanent exhibition gives an insight into its glorious past: the concerts of Strauss, Liszt, Erkel, Wagner, Bartók, Brahms, Saint-Saëns, Debussy and Dohnányi, the first parliamentary assembly in 1848, the coronation banquet of Franz Joseph, the foundation of Budapest, the introduction of a Bleriot XI aircraft and the most popular balls. 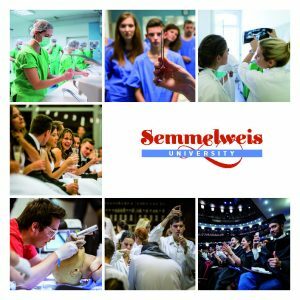 A 67% discount is provided for the students and staff of Semmelweis University from the price of the annual exhibition pass. The pass is registered to one person and is valid for 365 days from the day off issuance to an unlimited number of exhibitions held in Pesti Vigadó. The card can be purchased with a Semmelweis student card or staff pass. Address: 2040 Budaörs, Szabadság út 299. The main objective of ABS Sportcentre since its foundation in 2003 has always been to promote sport and its beneficial effect on health to the as many as possible. 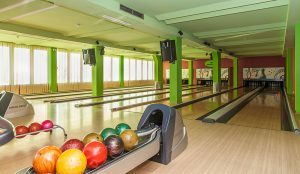 ABS operates a 6-lane bowling alley offering an excellent leisure opportunity for all ages and occasions. 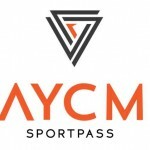 All You Can Move (AYCM) SportPass is a multifunctional, flat-rate sports pass allowing you to practice different sports every day. AYCM has six different packages (sizes XS to XXL). The Sportpass card can only be requested by staff members of Semmelweis University. The packages differ in their monthly fees, which are to be paid for a year from the day it was requested, and in the number of facilities available. The card is issued for one person only, it is non-transferrable and it can be used at one facility for one basic service per day. Address: 1094 Budapest, Márton utca 4. 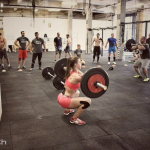 Our team believe that CrossFit is a type of fitness developed for ordinary people, which never becomes boring but is challenging for everyone, and offers learning opportunities for beginners and advanced guests alike. The list of services is available here. 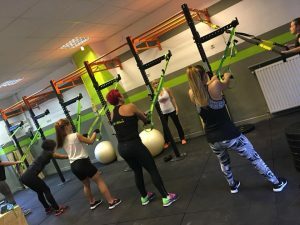 10% off of the price of pass valid for classes between the first class in the morning and 4 p.m. and classes beginning at 8.20 p.m.
CrossFit Trafo is a gym specialising in fitness development. 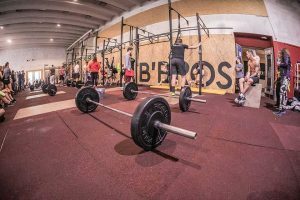 It is located in the centre of Budapest with an area of nearly 500 m2, equipped with high quality devices providing truly efficient and enjoyable training. The training programmes offer a wide range of fitness classes for anybody who would like train and get fit. The discount is available by showing the student card or the Semmelweis staff pass at the ticket office upon buying the tickets and it cannot be combined with other discounts. 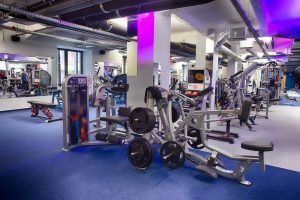 Life1 Corvin Wellness is a premium gym which was opened in 2011. 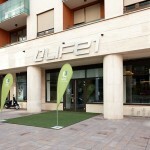 Besides a wide range of fitness services, it has a swimming pool and a wellness&spa area. Thanks to its highly qualified team, Life1 Corvin Wellness Budapest has become one of the most popular gyms in the capital. All staff members and students of Semmelweis University can purchase the All in 1 monthly pass (fitness, wellness, aerobics) for 16,500 HUF instead of 21,000 HUF. The pass allows two entries to both facilities per day, provides the use fitness and wellness and an unlimited access to group classes. The pass also contains free parking for the period of your stay at Life1 and 15 minutes after leaving the premises (the car park can be used based on its capacity). The discounted pass is valid for 30 days. Currently 5 studios offer beginner and advanced lessons of hatha, ashtanga, dynamic hatha, vinyasa flow and yoga for the spine. 2-3 yoga lessons a week increases physical and mental strenght. Its stress relieving effect plays a significant role in strengthening the immune system. The beneficial effects of our yoga exercises enables you to prevent several diseases. Individual yoga therapy consultation is also available after booking. 20% off of daily passes. 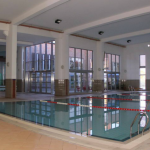 Pesterzsébet Swimming Pool warmly welcomes its guests with a friendly environment! Services: 33-metre-long swimming pool, 20-metre-long swimming pool, wellness, swimming courses, water polo courses, synchronised swimming, aquafittness, car park, bicycle park, birthday events with pool rental. Free entry for the students of Semmelweis University’s Faculty of Medicine, Faculty of Pharmacy, Faculty of Dentistry, Faculty of Health and Public Services and the School of PhD Studies by showing their student card. Staff members may purchase discounted monthly passes for themselves and family members. A 10-session pass is 7,000 HUF. Passes may be purchased according to prior arrangements with Tünde Tánczos coordinator on +36 1 920 0155 or via e-mail: esmtk.uszoda@gmail.com. 1111 Budafoki út 9-11 ground floor 4. Home gym is the perfect alternative for those who don’t like crowded gyms because there is no queuing for equipment, but there is 100% attention and training programmes are specifically tailored to the guests based on their health and needs at private and semi-private trainings (no more than 3 people). After purchasing 4 sessions in advance, passes can be requested at the ticket office. The mission of Go Active Health Club is to provide healthy and high quality leisure activities for everyone either in groups or individually. The timetable allows all members of the family to participate in various programmes at the same time: there are classes for young and old of different intensity. Students and staff of Semmelweis University are entitled to 10% discount from the prices of daily tickets and monthly passes, which include the use of all services (wellness and fitness). Discounts can be used at the venue by showing the Semmelweis student card/pass and cannot be used with other discounts. 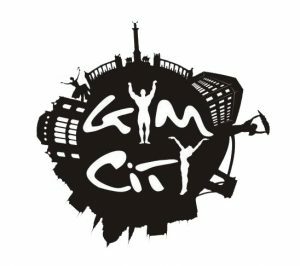 Gym City is one of the largest and high-standard gyms in Budapest. The best equipment offers various possibilities to work on a given muscle group. Body-builder and fitness competitors willing to make the most out of competitions train in our gym. Our team of personal trainers offer assistance in classical weight lifting training and special trainings as well. Moreover, several group lessons are also available. The Infra- and Finnish saunas are perfect for relaxing after classes and the buffet has a great assortment of snacks. Our shop has nutritional supplements, refreshments, accessories (eg. gloves, shakers). AYCM membership, Sports card and SZÉP-cards are accepted. We also provide our guests with free Wi-Fi and mobile phone charging station. For students and staff alike. 14% off of monthly passes for adults over 24 years. 7% off of daily passes. Apart from the traditional fitness section there is a 260m2 aerobic hall accommodating group classes, Thai-boxing, functional and body shaping training. A large functional frame is available for those who are not keen on traditional gym equipment. 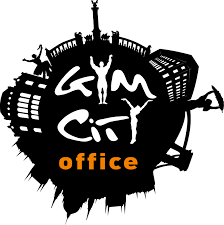 The philosophy of Gym City Office is substantially different from that of traditional gyms. It tailors its services not only to regularly exercising guests but to those between the ages of 18 and 70 who do sports in order to preserve their physical condition and health. A team of well-trained personal trainers are available for classic weight training and special training. The Finnish sauna is perfect for relaxing after classes and the buffet has a great assortment of snacks. For students and staff alike. 16% off of monthly passes for adults over 24 years. 29% off of daily passes. 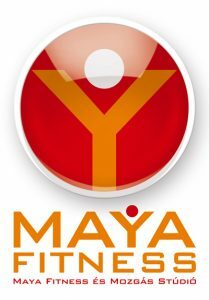 Maya Fitness and Movement Studio has been at the service of our guests for over 7 years in the heart of the 16th district. We offer 3 air conditioned rooms, 100 group classes per week, personal training, a space for children under the supervision of an experienced teacher, massage and various courses. 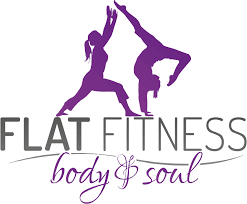 Our guests appreciate the familiar atmosphere, the ample choice of classes (TRX, deepWORK, Zumba, yoga, pilates, spinal exercises, Kangoo, body shaping and fat burning classes), attractive prices and professional trainers. 10% off of passes for group classes. It is not valid in combination with other discounts. Millennium Wellness warmly welcomes anybody who would like to practice sports or spend their time actively. The gym offers 30 Life Fitness cardio machines equipped with TVs, state-of-the art power machines, weights, Cross Training frames, 2 halls for aerobics, a spinning hall, 30 exercise bikes and 300 group classes per month. Wellness: Finnish saunas, steam cabin, Jacuzzi and wellness terrace. The discounted tickets include the following services: use of fitness hall, 1 aerobics class of your choice, unrestricted use of wellness. The discount is not valid for the discounted daily and monthly passes which provide entry from 6 a.m. to 3 p.m.
All staff members and students of Semmelweis University can purchase the All In monthly pass (fitness, wellness, aerobics) with a discount of 19%. The pass allows two entries to both facilities per day, provides the use fitness and wellness and an unlimited access to group classes. Oxygen Wellness Naphegy is one of the most exclusive fitness-wellness clubs in Hungary offering a wide range of high quality services on several thousand squaremetres. Oxygen Wellness focuses on the integrity and balance of Health, Spirit, Mind and Body. Oxygen shapes your lifestyle, offers a valuable programme and follows your steps during your journey. Oxygen Wellness Naphegy offers two types of monthly passes for the students and staff of Semmelweis University. 20% off of type I. monthly pass, which allows a single entry to the sports facility between 11 a.m. and 4 p.m. without the use of the car park. 30% off of type II. monthly pass, which allows a single entry to the sports facility without time limits without the use of the car park. 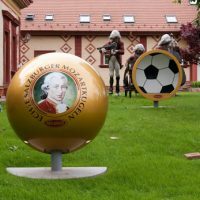 Semmelweis University’s Physical Education and Sports Centre hosts the compulsory P.E. lessons for the students of the Faculty of Medicine, Faculty of Dentistry, Faculty of Pharmacy and the Faculty of Health and Public Services. 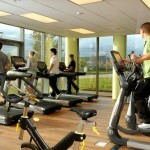 It also provides free or discounted sports and recreational facilities for students and staff members apart from P.E. lessons. Power Fitness was opened in 2012 with the aim of providing both sportsmen and hobbyist with the best equipment possible. The equipment is of the highest quality and provides an opportunity for the guests to train in diverse and efficient ways. The rate of discount in case of an unrestricted monthly pass is 50%. We offer a motivating environment for anybody independent of their reasons for coming to our gym, be it preparation for fitness competition, weight loss, body weight gain or exercise as part of a happy and healthy lifestyle. Our experienced trainers and thoughtful staff assist in achieving physical and mental refreshment. Varied programmes, functional training, aerobic room and wellness are at our guests’ disposal. 17% off of the price of the monthly gym pass and 23% off of the price of the monthly aerobic pass. The discount is available by showing the student card or the Semmelweis staff pass at the ticket office upon buying the tickets. 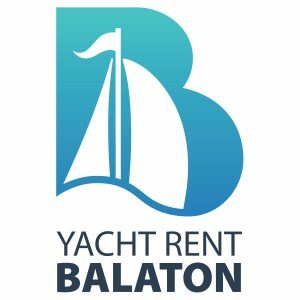 2-hour-long sailing tours or a multiple-day-long yacht cruises on Lake Balaton Ship and boat leader are free of charge. Besides 20% discount, the University’s students, staff and their family are entitled to further 15 % discount! Become a part of art! Create your own unique composition, realise your ideas, use the pictures! 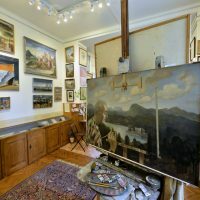 The gallery is an interactive space allowing you to touch the paintings and take an active part in creating your pictures. Have fun, learn, experience the wonders of art and become part of it! 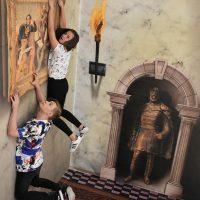 Become a photographer, professional painter, artist or director while being absorbed by 3D effects, optical illusions and spatial deceptions. Take your smart phone or camera with you to recall the fantastic experience after your visit at the gallery! Discounted tickets can be purchased at 3D Gallery Budapest at a previously reserved date by showing a valid and numbered Semmelweis pass or student card. 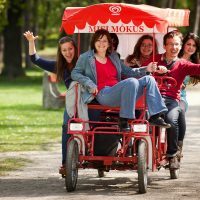 In case of school programmes, team building events and interactive guided tours with the required minimum number of visitors present, further 10% discount is available for the staff and students of Semmelweis University. Adventure island is located on Tisza-lake in Tiszafüred and offers various exciting programmes, sporting and leisure activities in an 18-acre, enchanted forest-like park. 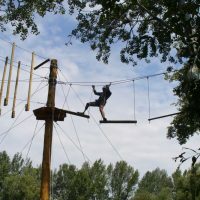 An unforgettable experience is granted to children and adults alike by Adventure island’s attractions such as the 15-metre-high climbing and look-out tower, the adventure trail with 140 obstacles or the gigantic zip-lines. 15% off of the prices of individual and combined tickets (tickets for children, students and adults, family tickets). The discount can be used at the following venue: Kalandsziget-Tiszafüred, 5350 Tiszafüred, Kistisza u. 2., observing the seasonal opening hours. 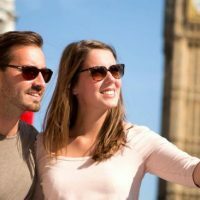 The discount can only be given to visitors possessing a student card or employee’s pass issued by Semmelweis University or other document proving a student or employee status at Semmelweis University. “We strive to give our customers what they expect and even more than what they have been promised.” Bringóhintó has two locations at Margaret Island where you can choose from a wide range of quadricycles to suit your and your children’s needs. A Semmelweis employee’s pass with photo and serial number or a valid student’s card has to be presented upon renting quadricycles. The Hungarian National Circus was founded in 1995 and celebrates its 25th anniversary this year. The company, established by the Richter family, offers one of the highest quality classical circus shows in Europe. József Richter Jr., an acrobat awarded with Clown d’Or at the 42nd International Circus Festival of Monte-Carlo is showing off his talent in special shows this year. 10% off from tickets to Sector A for the students and staff of Semmelweis and their families. Tickets can be booked via email or telephone (Zsuzsanna Deák, +36 (70) 701 9141, szervezes@magyarnemzeticirkusz.hu), and a voucher is sent to the registered email address. Tickets can be picked up at the ticket office of the circus by showing the printed voucher and the valid student card or staff pass. IMPORTANT! The university has to be referred to in case of both types of booking (email and telephone) and the city, the show and the number of tickets have to be specified. Katedra Language School was founded in 1990 and has been one of the most important institutions of adult learning since. Besides language education, other high-quality adult learning courses are also available. Attention to individual differences is the key to the success of the School’s students, whether they participate in group lessons or one-on-one sessions. The School strives to keep the balance between high-quality professional education and a warm and welcoming atmospherere. Why should you do your language exam at Katedra Language School? The discount is valid only for gorup courses and cannot be used together with other discounts. Discounted courses can be pruchased at the different schools of Katedra Language School (https://budapest.katedra.hu/) by showing the Semmelweis student card/pass. One pass may be used for one language course. LEGO®, the world-famous toy might be familiar for everyone, however it is much more than a game for children of all ages. 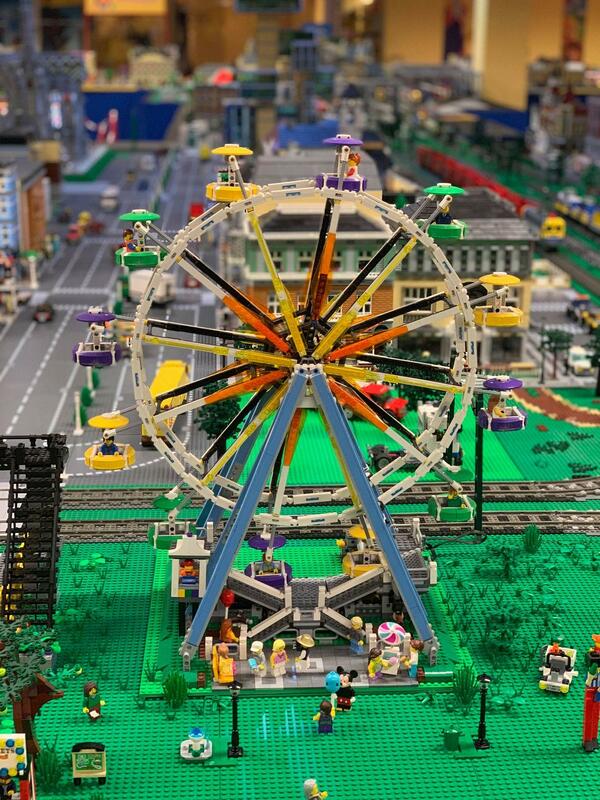 Professional LEGO® builders create breathtaking models, realistic buildings, working vehicles from various building blocks. The unique LEGO® artworks of our members represent a wide range of topics. Our exhibition is designed for all ages, young and old. The exhibition offers a quality entertainment even in case of events accommodating thousands of visitors. Discounted tickets may be purchased at the venue by showing the Semmelweis student card or pass. One document is valid for one discounted ticket. In case of purchasing a student ticket, ticket controllers may check the student card. Líra Book Zrt. 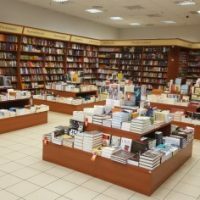 was founded over 25 years ago and is one of the leading distributors in Hungary with an extended network of bookshops and a web shop. The network consists of 92 bookshops, 15 of them run by franchise partners and three bookshops specialising in music. 7% off from the price of all books (except for books with discounted prices and textbooks) for students with valid student card and for staff holding a registered Semmelweis pass. Axe throwing? Yes, you’ve read it correctly! You can throw real axes with your friends, family or colleagues. 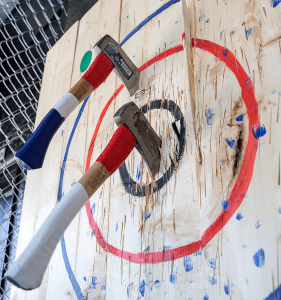 Axe throwing game was invented in Canada, since then dozens of game have areas opened in the USA. This sport can be played in teams or in solo. According to rules there are rounds when players can throw their axes following the other players. Therefore there’s no limit to the number of players just like in bowling: players throw their axes after one another. The Axe Throwing game areas are completely separated from each other by safety fences and players are being watched by our professional instructors during games. Scavenger Escape combines the excitement of traditional treasure hunts with an ultra-modern, second generation escape game. The teams have one hour to complte missions of various levels and themes and escape from the rooms. Scavenger Escape provides a discount of 20 % for the students and staff of Semmelweis University. The discount may be used in the escape rooms of Scavenger Escape Franchise in Budapest and abroad at the following locations: Budapest, Malta, Vienna, Salzburg, Madrid. The discount may be used at the location and cannot be used together with other discounts. The discount may be purchased only with Semmelweis student card, staff pass or other document proving the relationship with the university. The tenants of our zoo included sharks, alligators, exotic reptiles, amphibians, small apes, birds and thousands of colourful fish. 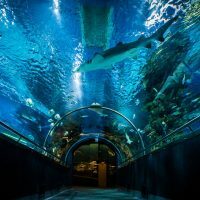 The 12-meter-long tunnel below the sharks’ aquarium offers a unique and close view of tiger sharks and sandbar sharks. The visitors can pet and even feed the rays with the assistance of a caretaker at the petting zoo. Every Thursday at 3 PM divers feed the sharks from their hands, which is the most popular and spectacular event at the Tropicarium. In the rain forest there are tropical showers every 15 minutes. 17% off of full price tickets for the students and staff of Semmelweis University. The discount is valid between 1st March and 30th April 2019 for a single entry for 2 adults and 2 children. Discounted tickets can be picked up at the ticket office of Tropicarium by showing a printed voucher available on request at rendezveny@semmelweis-univ.hu and the valid student card or staff pass.